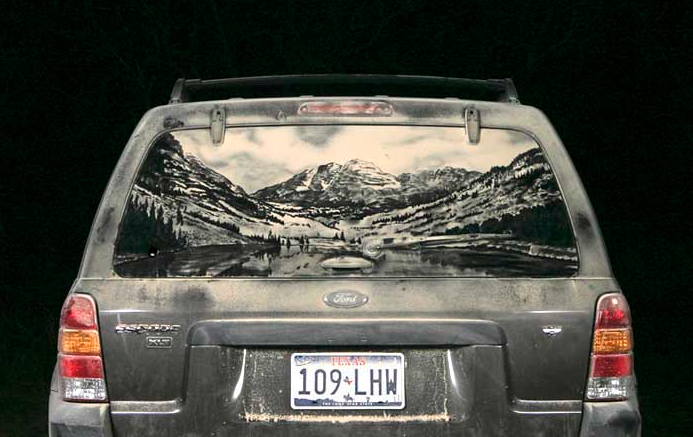 Okay, so this is not necessarily fine art or design, per se, but we’re intrigued nonetheless. 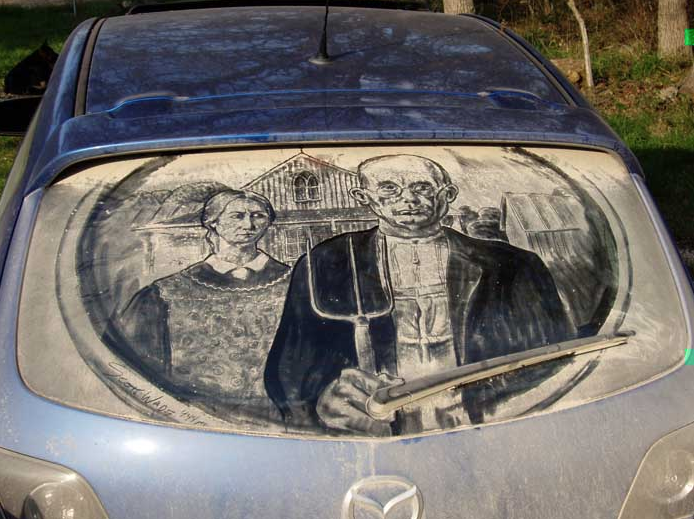 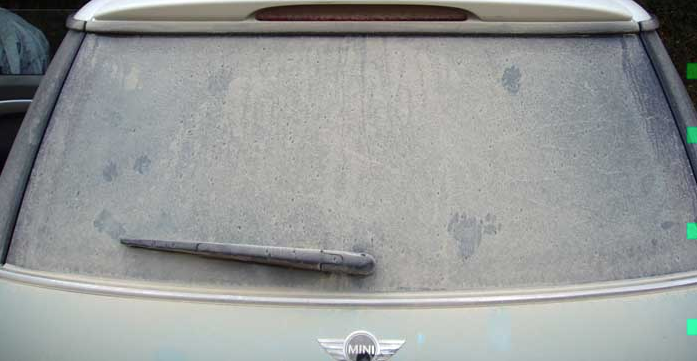 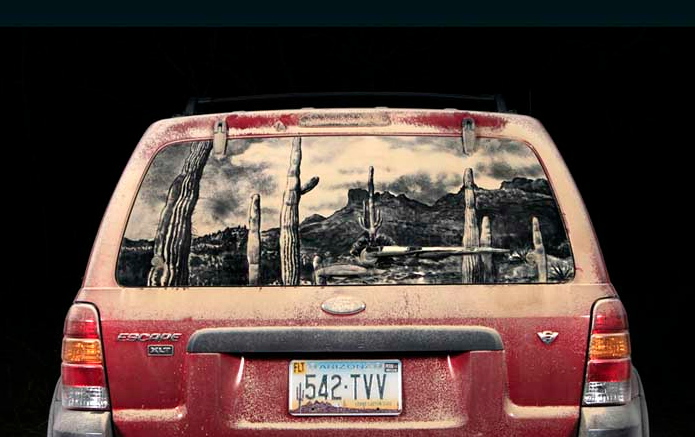 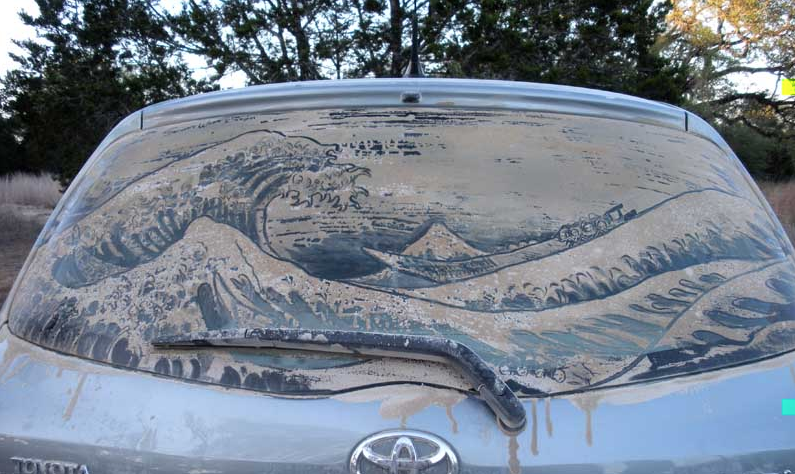 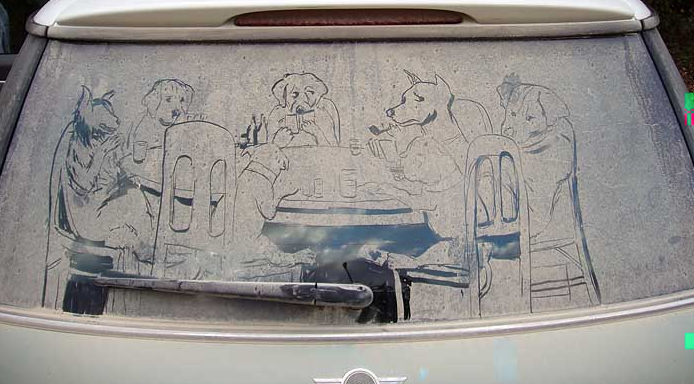 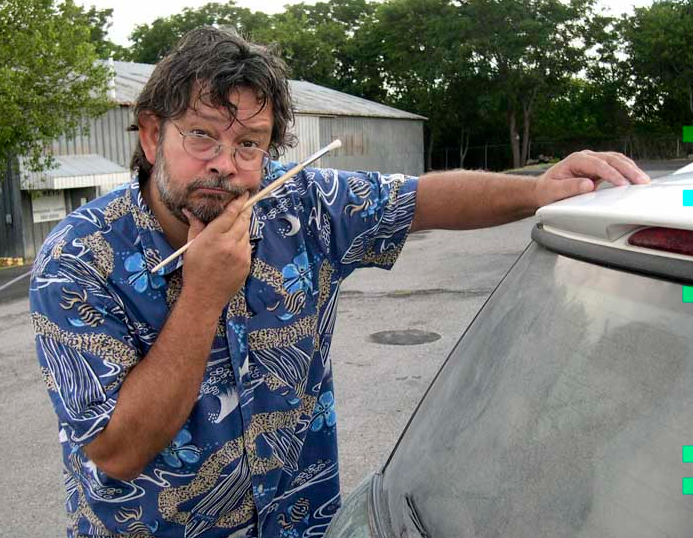 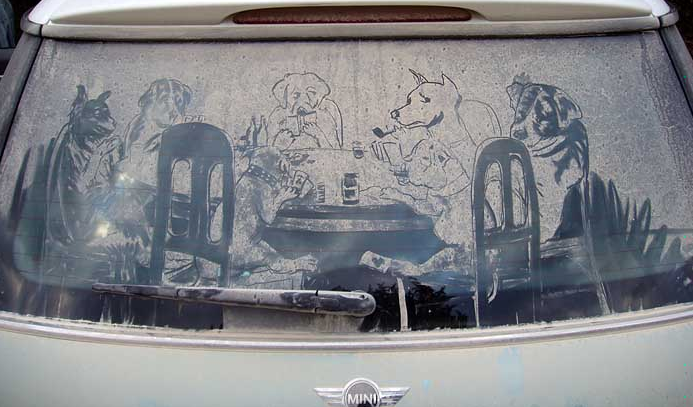 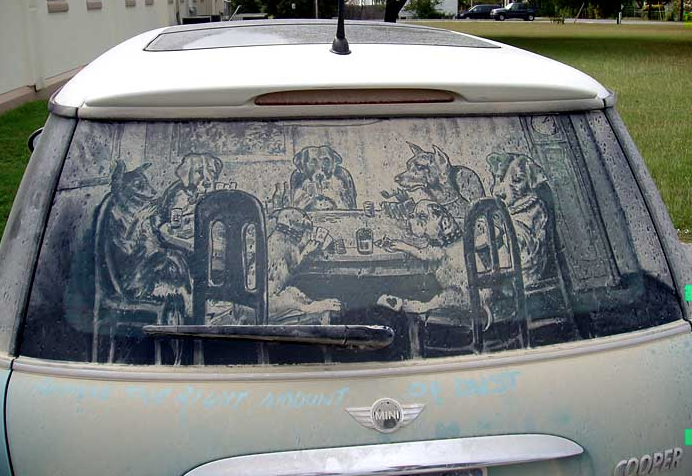 We’ve all seen “Wash me!” etched into layers of dirt on filthy vehicles, but Texas artist Scott Wade has taken it to the next level. 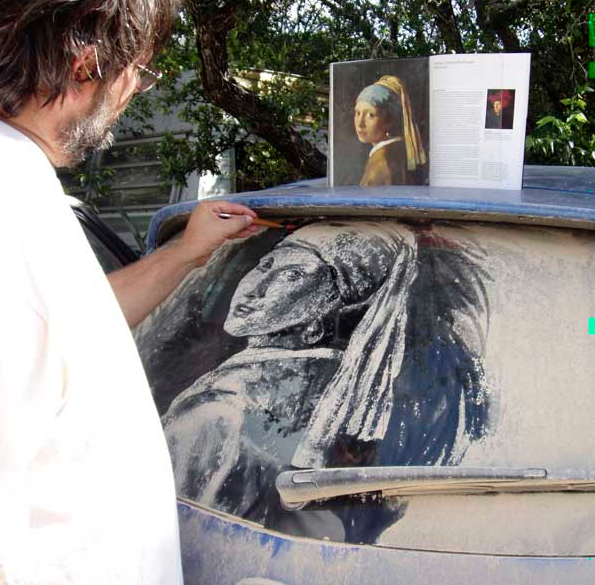 Wade, a formally trained artist, uses an array of brushes and his hands to create works of art from dust and grime on dirty vehicles. 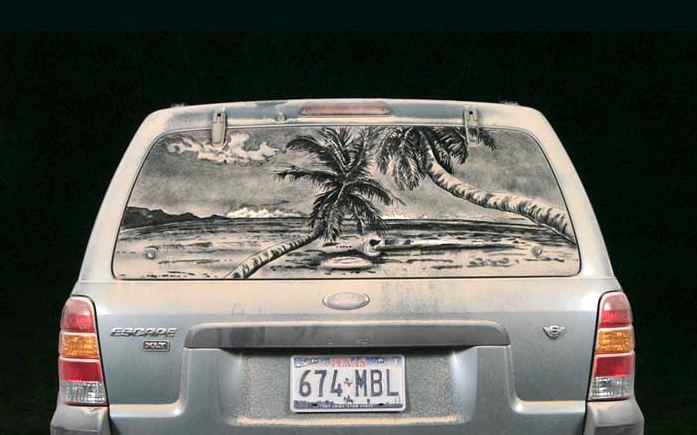 His canvas is often surfaces of vehicles belonging to him, but he also creates works of art on the vehicles of perfect strangers as well.